How can organisations apply ‘user experience’ principles to increase engagement in health and safety across their organisation? Register for our complimentary breakfast briefing seminar ‘we are all designers’ on 9th April at The Health & Safety Event at the NEC to find out! SHE Software is delighted to be a sponsor of the Verdantix HSE Summit Europe 2019. Now in its seventh year, this year’s event will focus on ‘Delivering Business Value with Innovative HSE Technologies’. SHE Software is excited to be exhibiting at the North Dakota Safety Council's 46th annual safety & health conference on February 20-21, 2019. SHE Software is delighted to announce that its innovative health and safety software, Assure, has been recognised as a Top 50 Finalist for the prestigious Tomorrow’s Health and Safety (THS) Awards 2019. The SHE Software team has been busy getting ready for the festive season, raising money to support those in need. Are you confident that your data is giving you an accurate reflection of your safety performance? SHE Software is heading to Mandalay Bay in Las Vegas, Nevada on December 5 - 7, 2018 to exhibit at the National Workers' Compensation and Disabilities Conference & Expo (NWCDC). Are you confident that your organization is recording, monitoring and reducing the number of potential hazards that your workforce is exposed to daily? SHE Software made a splash at last week’s National Safety Council Expo & Conference in Houston, Texas. SHE Software’s charity committee recently jumped in to action to respond to a plea of help from a local community food bank. Many health and safety professionals will be familiar with the statement: "We did a safety audit and one year on, nobody has looked at it and we have unresolved actions." How can you make your audits work for you? The world is changing rapidly – the environment in which we live, work and play is almost unrecognisable to the landscape of less than a few decades ago. Here, we look at the impact that changing landscape is having on health and safety in the workplace – and how it affects engagement across the wider workforce. Our latest white paper, Best behaviour: how technology can enhance behavioural safety in the workplace, examines why behavioural safety programmes fail - and how technology can help maximise their success. The SHE Software team will be attending the forthcoming HSE Insight Summit in Northern Ireland this week, where delegates and speakers will be looking at some of the key issues facing health and safety – and how safety professionals can address them. SHE Software is delighted to be attending Health & Safety North on 9-10 October 2018 at EventCity, Manchester. The importance of centring people at the heart of health and safety, and how technology can support that, was the main topic of discussion when the SHE Software team visited the European HSE Management Forum 3.0 in Amsterdam recently. Tristan Alden, SHE Software’s sector lead for energy and utilities, looks back at some of the key points raised and the major takeaways from the event. SHE Software is looking forward to heading to Texas to take part in the National Safety Council (NSC) Expo and Congress. With mutual goals to protect both an organisation’s employees and its reputation, it makes good sense for HR and safety professionals to work closely. Matthew Elson, SHE Software's CEO, looks at the common ground between the two functions and how technology can help cement relationships. Technology is completely transforming our common practices and reshaping how we work and play in the 21st century. Matthew Elson, CEO of SHE Software shares his thoughts on how businesses can adapt to this ever-changing landscape. SHE Software is delighted to announce our upcoming road shows across the United States, which will take place in late September and early October. UK Webinar - Mind the Gap .. The world of work is changing – rapidly evolving demographics and working practices are creating an increasingly diverse workforce. What steps can organisations take to engage their entire workforce in safety? Scottish technology company SHE Software continues its ongoing expansion, doubling the size of its international team and moving into new custom-designed premises. The real-life challenges of embedding an inclusive safety culture and giving employees a safety voice will be up for debate at SHE Software’s forthcoming panel discussion at the European HSE Management Forum in Amsterdam this week. US Webinar: Is ISO 45001 the ‘silver bullet’ of employee safety? The recently published ISO 45001 standard aims to reduce the occurrence of occupational injuries and diseases - but is it the ‘silver bullet’ of employee safety? According to the EHS Daily Advisor’s recent Annual Safety Report, employee engagement tops the list of safety challenges faced by manufacturing companies in the US. UK Webinar: Does your workforce consciously think about safety? It is widely recognised that some workplace incidents are at least partially, the result of employees' behaviour - but how can organisations encourage people to behave and think in a more safety-conscious way? This month’s health and safety download comes from our New Zealand office, based in the stunning surroundings of Hawke’s Bay, and features our Asia Pacific business development executives Jean Ryan and Robyn McRae. Good intentions are great, but just recording a safety observation isn't enough to keep employees safe – any resulting actions must be properly managed and the right person in place to approve them. Hundreds of organizations across the US have been taking part in OSHA’s ‘Safe + Sound’ campaign this week to raise awareness of the value of safety and health programs. This week sees OSHA's ‘Safe + Sound’ campaign roll out across the US, raising awareness and understanding of the value of safety and health programs that include management leadership, worker participation, and a systematic approach to finding and fixing hazards in workplaces. Every year in the US, more than 5,000 workers are killed at work and more than 3.6 million suffer a serious job-related injury or illness, according to the Bureau of Labor (BLS). SHE Software is delighted to announce its role as lead sponsor of this year’s IOSH food and drink manufacturing health and safety conference, which takes place in Nottingham 2-3 October. SHE Software will be taking to the stage at Health & Safety Scotland 2018. Scottish technology firm SHE Software has strengthened its leadership team with the appointment of Chris Rydings as Chief Technology Officer (CTO). Given the challenging nature of the work, it’s no surprise that waste management is one of the UK’s most dangerous industries. SHE Software is delighted to announce a new partnership with Codeclan, Scotland’s digital skills academy. The word ‘culture’ has many different definitions: an anthropologist will tell you that it’s about ways of living, passed from generation to generation. Microbiologists, meanwhile, will think of bacteria, while to others it’s knowing the difference between Bartók and Bordeaux. SHE Software has been recognised as an approved supplier to the UK Government’s G-Cloud 10 IT procurement framework for the sixth year in a row. The extreme global weather events of recent weeks look set to continue, with high temperatures expected across the world. Webinar: How are you giving your employees a safety voice? The challenges of the modern workforce – such as large, dispersed teams and multiple contractors – mean that many organizations face an uphill struggle to remain compliant. They say that life is a marathon, not a sprint – but for Dom Byrne, one of our customer relationship managers here at SHE Software, it’s been an ultramarathon! SHE Software's CEO Matthew Elson explains that empowering employees to take responsibility and to get on board with the safety journey is a proven method of increasing engagement levels. The importance of the digital economy in Scotland, and the efforts of the companies driving its future, was the focus when Ivan McKee MSP paid a recent visit to SHE Software. SHE Software is delighted to announce a new partnership with CIPHR, a leading UK-based Software as a Service (SaaS) provider in the HR arena. Webinar: Is ISO 45001 the ‘silver bullet’ of employee safety? Workers can reasonably expect that their employer is doing everything possible to prevent injury or death. Yet how many machines are not equipped with the right safety features? How many dangerous shortcuts do workers take to make a job easier? How many manufacturers have the right health and safety solutions in place to allow workers to alert management of areas that need attention? SHE Software has appointed leading software entrepreneur Martin Fincham as chairman of its board. SHE Software CEO Matthew Elson has been sharing his thoughts on how fast-growing tech businesses can move from start-up to success. SHE Software’s CEO Matthew Elson has been recognised for his outstanding contribution to the UK’s technology industry, being awarded 'Scale Up Entrepreneur Finalist' at the 2018 Enterprise Awards. SHE Software has revealed record annual results for 2017-2018. Our CEO Matthew Elson spoke to the Scotsman's business correspondent Emma Newlands about our plans to double our turnover, triple our headcount, and why it's the right time to target America. SHE Software presented a spirited display at last week’s American Society of Safety Professional (ASSP)'s Safety Conference in San Antonio, Texas. Come and find out how we can help you and your organisation, by visiting us at stand R250 at Safety & Health Expo at ExCel London from 19-21 June 2018. SHE Software is pleased to have been working with Capita Real Estate and Infrastructure, one of the UK’s leading providers of professional support services on the Rail Industry Supplier Qualification Scheme (RISQS). SHE Software, a leading provider of health and safety software in the UK and New Zealand, has today announced the launch of its innovative health and safety software app, Assure, in North America. Employment in the US manufacturing sector has grown steadily over the past eight years - some 222,000 jobs were added in the first quarter of 2018 alone - emphasizing the need to maintain safe working environments for an expanding contingent of engineers, operators, assemblers and compounders. Are you wondering how you can give your employees a safety voice? If so, then why not find out more at our special ‘breakfast briefing’ session during next week’s annual Health & Safety Event at Birmingham’s National Exhibition Centre. We’re off to Hilton Head Island in South Carolina this week and the annual HSE Insights Summit at the magnificent Sonesta Resort Hilton. International fresh produce company, G’s, lifted the coveted ‘agriculture, food and beverages’ gong at last night’s Verdantix HSE Innovation awards in London following the successful implementation of our Assure health and safety management software. 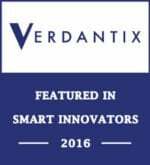 We are delighted to share that one of our SHE Software community members, G’s, has been short-listed in the Agriculture, Food and Beverages sector for a prestigious Verdantix HSE Innovation Award. SHE Software has secured a £3 million growth capital investment from NVM Private Equity (NVM) as it prepares to enter international markets with its highly configurable health and safety software and create over 50 new jobs by the end of 2018. Webinar: Why does health and safety software fail? Are you confident that the health and safety systems and software you’ve invested time - and funding - in directly improve your organisation’s safety performance? SHE Software is pleased to announce Bryson Recycling as a new customer of its health and safety software, Assure. Health and safety risks faced by the construction industry remain very real - as do the consequences. SHE Software is pleased to announce Vital Energi Utilities Ltd as a new customer of its health and safety software, Assure. Are you confident that your organisation is recording, monitoring and reducing the number of potential hazards that your workforce is exposed to daily? This month’s health and safety download features Paul Houston, New Zealand Manager, SHE Software. SHE Software is pleased to announce Briggs Marine & Environmental Services as a new customer of its health and safety software, Assure. A very interesting interview in the December 2017 edition of the of IOSH Magazine, featuring Liverpool Football Club’s Senior Health and Safety Manager, Gillian Wood. Due to continued business growth, SHE Software’s Simon Cooke has recently taken on a newly developed role, Strategic Partner and Alliances Manager. This year's SHE Software Christmas charity drive saw the team raise funds for the Blameless charity. SHE Software is pleased to announce The Ambassador Theatre Group as a new customer of its health and safety software, Assure. This month’s health and safety download features Matt Collinson, Head of Customer Relations, SHE Software. Given the challenging nature of work, it’s no surprise that the recycling sector is classed as one of the most dangerous to work in, with HSE reporting one of the highest rates of workplace injury and work-related ill-health. Health and safety doesn’t happen behind desks. So why are so many of our health and safety processes still desk based? The workforce is rapidly changing and evolving. Digital disruption, coupled with an increasingly mobile and global workforce, has driven a huge shift in workplace culture and practices. What is emerging is a more remote, disperse international workforce. The health and safety landscape was shaken up last year with the revised Sentencing Guidelines leading to much higher fines and a lowering of the threshold for imprisonment. The retail chain, Iceland, has been fined £2.5 million following a sentencing hearing after the death of a contactor at one of its stores in Rotherham. Designed specifically for our existing customers, these annual networking events provide a great opportunity to meet similar professionals to share experiences, discuss common challenges and hear about forthcoming developments for our health and safety software solution, Assure. SHE Software are delighted to be exhibiting at Health & Safety North exhibition on 10th and 11th October 2017 at EventCity, Manchester. Health & Safety North, now in its 10th year, is one of the flagship events across the North of England for health and safety practitioners and communities. Many of us are passionate about managing and promoting safe and healthy workplaces. Some though, although perhaps not readers of this article, still consider health and safety management a necessary chore and bureaucratic burden. It does not have to be this way. Developed in response to an increasingly dynamic and global workforce, the new multilingual functionality provides employers with the benefit of locally tailoring their health and safety software solution based on an employees’ native language. 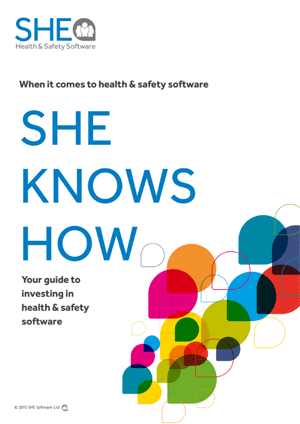 This month’s health and safety download features Andy Hutt, Executive Director and Vice President Sales, SHE Software. Tragically, fire safety regulations haven’t been far away from the media this year with the Cheshunt care home fire in April, and now the public inquiry in to the Grenfell Tower disaster. Described as the ‘Oscars for the technology industry’, the annual Enterprise Awards in association with the Worshipful Company of Information Technologists celebrate and recognise the very best of the UK’s technology entrepreneurial talent.